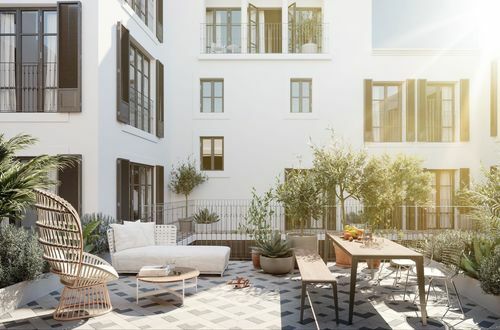 This spacious penthouse with the typical, charming features such as the exposed beamed ceilings, natural stone floors and the pretty fireplace is situated in the heart of Palma de Mallorca. 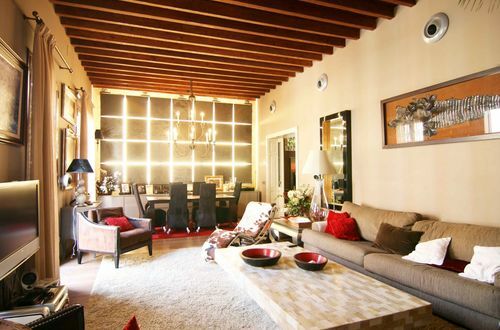 It comprises a bright living / dining area, a separate kitchen, three bedrooms and two bathrooms. Floor-to-ceiling windows lead from the living area to the ample private terrace of approximately 150m2. The old town of Palma boasts a special charm with its small alleys, imposing historic buildings and hidden courtyards as well as numerous sights, restaurants, cafés and shops. Features: triple glazed ISO windows, central heating, floor heating, air conditioning h/c, lift.